It was the summer of 1996, and I was a Material Science Master’s student at NC State eating a whole lot of ramen noodles. Juggling a full course load, my Master’s thesis, and work in Dr. Jerry Cuomo’s lab was a lot -- but I loved it. 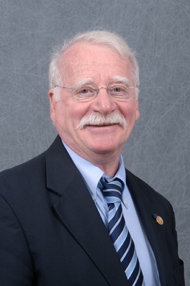 Dr. Cuomo, a 30-year IBM leader who had been hired as a Distinguished Research Professor at NC State so he could bring his industry experience to academia. How many people can say they are lucky enough to learn from a professor who's a member of the prestigious National Academy of Engineering? Dr. Cuomo made us feel we were working with our very own Einstein, and he sure kept us on our toes. 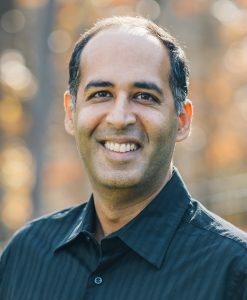 How many engineering students can say they have been personally mentored by a professor who has been awarded the highest scientific award in the United States? 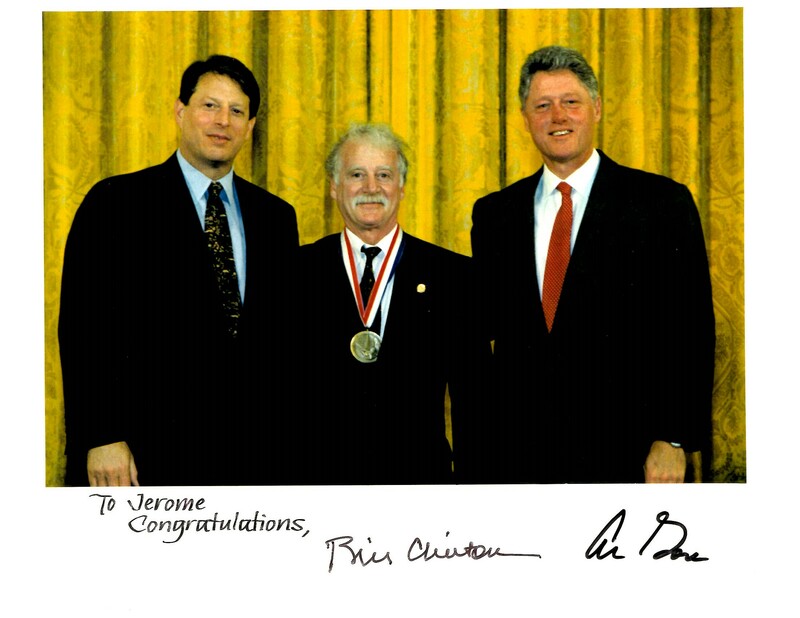 Dr. Jerry Cuomo with President Bill Clinton and Vice President Al Gore at the National Medal of Technology Award ceremony. He never gave us anything on a silver platter, and even though we were in the Material Science department, we found ourselves piecing together complicated equipment from spare parts donated by IBM while working with other professors and departments to finish our thesis requirements. You could call it a "Duct-Tape-It-Together" Approach because that's exactly what we had to do to get enough data on our research to defend our thesis and graduate. As much as we grumbled and complained about our obvious lack of equipment and budget, it was clear to us, we were scrappier, more resourceful, and best of all, naturally cross-disciplinary in our thinking than most other graduate students. Toward the end of my Master’s degree, I grudgingly agreed with my wife, that my research assistantship “job” in Dr. Cuomo’s lab had made an entrepreneur out of me. Dr. Cuomo brought an industry perspective that changed the way we did research in the lab. He was inventor on over 200 patents, and winner of the National Medal of Technology award. His profile attracted many Fortune 500 companies who came to us with research questions they couldn’t find answers to internally. One such question was the problems silicone oil was causing in medical devices and pharmaceutical containers such as syringes. When the drug is packaged and shipped inside a pre-filled syringe, it interacts with the syringe components. Syringes have to be coated with a lubricant (silicone oil) to facilitate the movement of the plunger inside the barrel and the drug is continuously in intimate contact with the lubricant layer. There was a specific problem called “stick slip” that caused it to fail. Typically, this is because the lubricant is easily displaced and causes the forces to be too high or inconsistent. 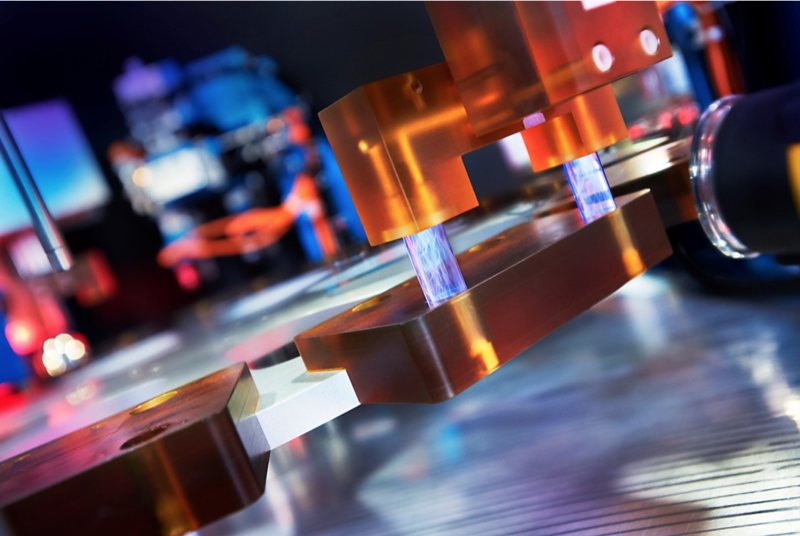 Other problems such as sub-visible particles of the lubricant in the drug medium were also in focus, leading the industry to seek a better solution. I was lucky to have exposure to such problems, while I was still a student -- and for that, I'm grateful for NC State. 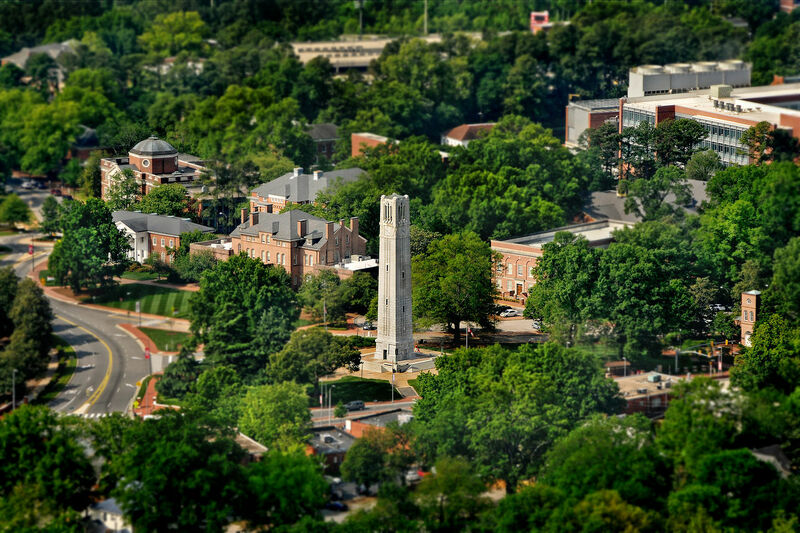 If you haven’t yet visited the NC State campus, you may not know that it is one of the premier engineering colleges in the United States - a public ‘land-grant’ university. I spent most of my time at Riddick Hall, in Dr. Cuomo's C.A.M.P. M lab in the basement. I even once flooded the lab (Dr. Cuomo was so upset with me, because I was in Chicago while this happened, visiting my then-girlfriend, now-wife). 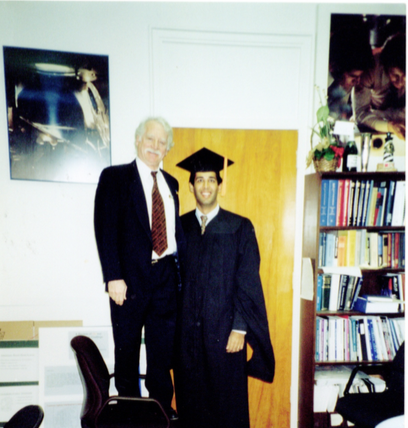 This is a funny photo we took on my graduation day in 1997: I'm 6' 1" and Dr. Cuomo is a lot shorter than me so he hopped on the chair to take this photo! As exciting as it was to study Material Science, I have to admit -- as I got ready to graduate and leave the campus and Dr. Cuomo's lab, I didn't know what to do. Take a job? The thought of working for someone else didn't appeal to me, even though that's what everyone else was doing. It was the road we were expected to take. But that silicone oil problem that wouldn’t leave my mind. At the time, silicone oil was being used across the board in medical devices. It felt a bit risky not to take the path of least resistance -- a job in industry. Paycheck. Benefits. 401(K) plans. Fortunately, I got married in October 1997, and my wife had a really nice paycheck coming in. We decided it was enough to live on, and there was always the option to take the ‘safe’ route later. Starting a company sounds glamorous doesn't it? But no one prepared me for how brutal it would be, especially as a newly minted graduate from an engineering school with zero business or marketing knowledge. I had to make a conscious decision to persist after every single experiment led me down yet another dead end. There were so many, many dead-ends. If I had known before I started, I may not have dared to go down this road of becoming an entrepreneur. 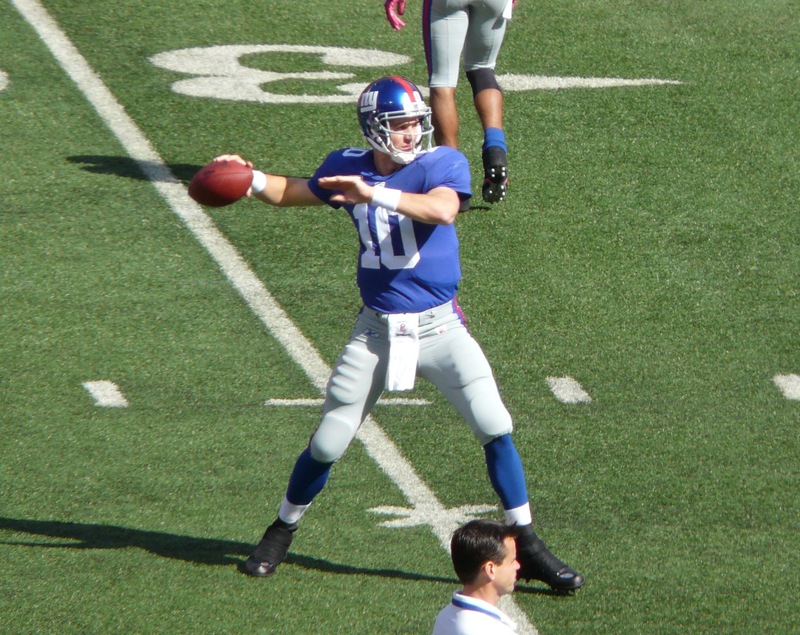 A Hail Mary pass is a very long forward pass made in desperation with only a small chance of success. So remember, that group of materials called perfluoropolyethers (PFPE) that Dr. Cuomo and I brainstormed? I got very excited thinking: "This is the easy button!" Oops. It actually made the problem worse. So I put it on the back-burner and started focusing on vacuum based plasma coatings on the elastomer plungers hoping that these coatings would provide the necessary low friction properties thus eliminating the need for silicone lubricants in syringes. But as I predicted, we had limited success as it's always expensive to scale-up such a vacuum plasma batch process. One thing the Dr. Cuomo instilled in our brain was to always think about scalability and ease of commercialization early in the development. It’s embarrassing when I’m introduced as an inventor or innovator at an event. I have the urge to burst out laughing because trust me, our early failed experiments felt like we were getting slapped in the face, day in and day out. I often questioned if I had made the right decision. If you don’t love falling off, and getting back on your lab stool like a baby learning to walk, don’t do it. You'll only lose hair and have nothing to show for it!" 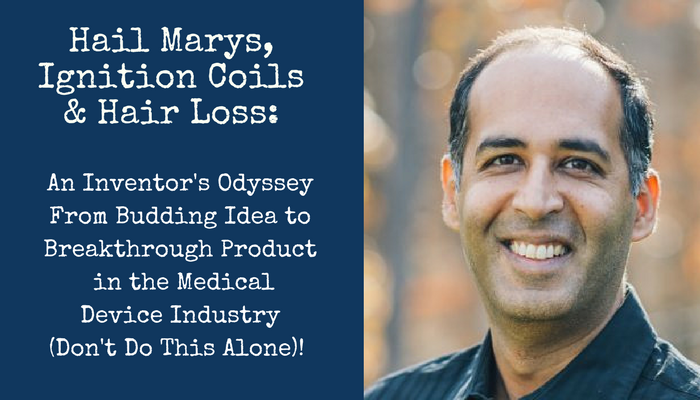 I was completely focused on hunting down a silicone-free solution because the silicone oil particles were the enemy. But when PFPE didn’t work, I almost gave up on the material altogether (akin to throwing the baby out with the bathwater). But then came Hail Mary Part 2: we asked ourselves, what if we anchor the PFPE inert lubricant on the surface of the syringe? Maybe we can make this work! First we tried to use a vacuum plasma process, but in a fraction of a second we would convert the oils into rubber because of the type of plasma we were using were too aggressive. Then our focus shifted to atmospheric pressure plasma. This was our last ditch effort, and it worked! But how it worked brings me to ignition coils (hang on, I’ll explain). One of Dr. Cuomo’s other students heard about our many interesting experiments, saw an opportunity and offered to help. Pete Yancey had the idea of using automobile ignition coils connected in series to bump up the voltage high enough to ignite a gas plasma at atmospheric pressure. We were getting the plasmas to ignite and react with the lubricant we were spraying inside the syringe, cross-linking it, and giving a good result, but we were burning up the ignition coils very quickly. We were going through one set of ignition coils every few syringes. The pile of coils in our dumpster was huge, but the experiment was working so I guess finally we were making progress. Every few days, I went to the guy at Advance Auto Parts to ask, “How many ignition coils do you have?” He would say, 15. I would buy all of them. We brought him over to our lab - he couldn’t believe his eyes! “Alright, maybe you need to try these ignition coils that are used in NASCAR, they are a lot more robust, maybe you can get more life out of them.” I didn’t know where to find them. So he said, “Don’t worry, I’ll get them for you.” So we connected them up, and they worked great, they never burned out!. This led to the start of Pete's company, ‘Atmospheric Plasma Solutions, Inc.(APS).’ The first custom power supply APS made for us packaged the transformers dipped in mineral oil to avoid arcing between the various parts of the electrodes. We went from ignition coils to a huge 5kW power supply that could blow a hole in your finger in a fraction of a second. As we further refined the process to make it more efficient we are now at a manageable 100 watt application. It’s a small little box and people look at it and say, “That’s so simple!” If only they had seen where it started. So essentially, our material was from the semiconductor industry…and our atmospheric plasma process of fixing the lubricant to the wall of the syringe … initially used the ignition coils used in automobiles! So, after drowning our sorrows in a few beers, we scrapped our entire hardware process design, and came up with a Downstream Plasma. In this new process, we ignited the plasma outside the container and blast the plasma inside so nothing breaches the inside cavity of the clean container except for the activated plasma environment. This required us to do a complete re-design of the plasma apparatus. Entrepreneurs always under-estimate how long things take! As you can see, the problem was way more challenging than we thought. For the first five years of the company, all we did was change the material from silicone oil to PFPE - that wasn’t enough. We tried to change the plunger surface, that didn’t work. We tried to change the chemistry of the oil, that didn’t work. We tried vacuum plasma, that didn’t work - it was too intense. Then we did atmospheric plasma, but we had issues with the equipment. 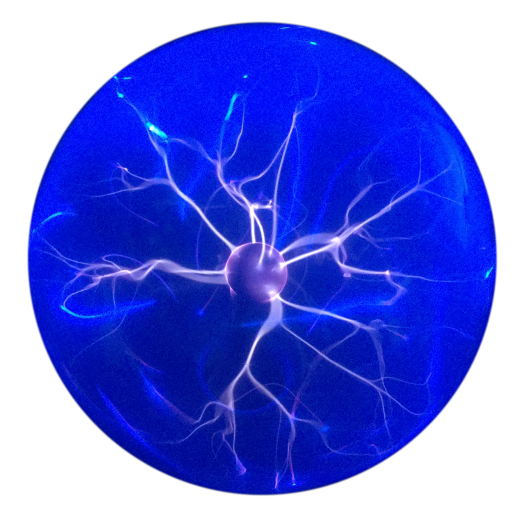 We had to move from the electrode-based direct plasma to the downstream plasma process. How many years did that take? SEVEN. The only reason I can think of is, I have a researcher’s mindset. What others find frustrating (all the dead-ends, the failed experiments), I see as a reason to try something different. I’m patient in the long-run, even as I’m aggressively trying new things every day. I love the research process as much as the end-result. If I had given up in the lab when I failed over and over again. If we hadn't reapplied for SBIR grants till we got funding! If we hadn’t met that guy at Advanced Auto Parts who knew about NASCAR ignition coils! Should we have co-created the solution instead of working by ourselves? The first 7 to 8 years we were tinkering in our lab without speaking to anyone in the industry. We didn’t know that many people. So if we had engaged more clients right away, and brought them into co-creating the solution, we would have probably gotten to the solution faster. But there is a risk associated with that, because when these clients are involved, they want exclusivity or they want to be part-inventors. So it’s a Catch-22 situation. This is where theNIH Small Business Innovative Research (SBIR) program stepped in, recognized the problem we were trying to solve and provided the seed funding. 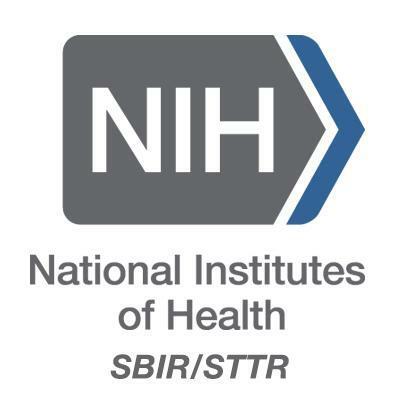 We are huge advocates of the SBIR program because we have seen its value to small businesses (who aren't good candidates for venture funding). The grants were great because they kept us going and we didn’t have to get money from investors. All of this research was funded internally or through Small Business Innovation Research (SBIR) grants. FIND A MENTOR: It is very rare to find a professor who mentors you, cares enough to give you tough-love, teaches you by letting you fail, and is there for you when things go wrong. Without him, I wouldn’t be an ‘innovator’ or an ‘inventor’ or an ‘entrepreneur.’ I may have been successful doing something else - but not running a company here in Raleigh. Find a mentor who will care enough to do the same for you. Dr. Cuomo didn't help me for personal gain, he did it because he believed in my potential, and wanted to help me succeed. Find someone who can play the same role in your professional life. LEARN TO WRITE GRANTS: This will reduce your dependence on angel and venture capital, and help you clarify your own business plan. The process is rigorous, and we didn't give up till we got the grant. 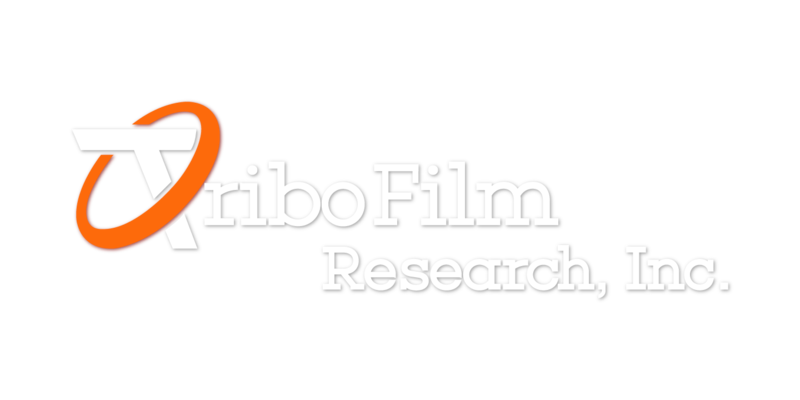 TriboFilm has never taken a dollar of outside funding. LEARN TO PRESENT LIKE A PRO: Starting a company means you have to sell your vision, your ideas, your half-baked prototype, and your Hail Marys -- get good at this, and you'll have an easier road. Most engineers are really bad at this, and this is part of the reason they struggle to turn their ideas into profitable companies. KNOW HOW & WHEN TO ASK FOR HELP: It's okay to be stuck. It's not okay to sit in your lab and try to figure it out alone. A leader knows when it's time to get someone else to look at a problem and provide insights and advice. Do internships at other startups before you leave campus. It will help you connect with other entrepreneurs and advisors outside the academic setting. One of the things I wish NC State had done for us is internships. I think it would have shaved a year or two off my journey! Build a circle of friends and advisors who can help you think outside the box and cross-pollinate ideas from other industries and functional specialties (for example, in our case, we often brainstormed with organic chemists, mechanical engineers, and experts from the semi-conductor industry). Make friends with a patent attorney. If you are inventing new things, you will need to know a lot about patentability. Choose your business partners wisely - and find someone who's really good at reading people to give you a second opinion before you make your final choice. You never know where two ideas will come from and mashup into your solution. Be open to new ideas that seem completely unrealistic at first. Always start by asking: "Is this an acute pain I'm working on?" If I build this solution, will people buy it? If you can start by consulting, always do that first because it will fund your product development work. 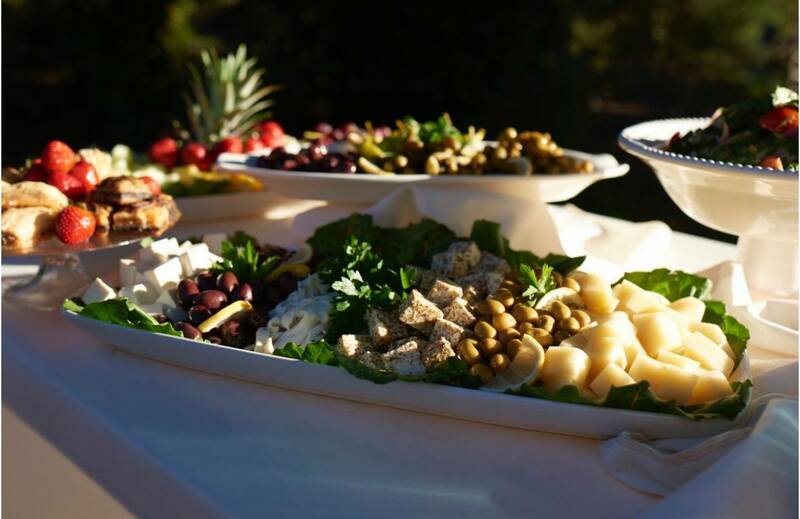 We started by consulting with companies and invested our revenues back into research and development. If you find yourself in Raleigh, don't miss visiting Neomonde for lunch.